This will take two days. Because of the fermentation the soyabeans tangled together into a cake. Tempeh is rich in fiber because the whole soyabean is used. The fermentation process also ensures that the digestibility of the soyabean improved. Because tempeh is made from the whole bean, it is rich in fiber. 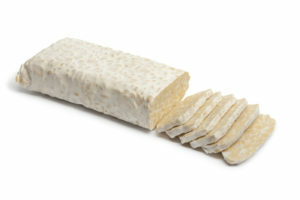 Tempeh is also a rich source of nutrients such as calcium, B vitamins and iron. Thanks to the fermentation process, the digestibility of the soyabean has also improved enormously. It is suspected that the processing of tempeh is the oldest food technology in the history of the Javanese population. The book Serat Centhini published in the 16th century indicated that tempeh was being produced and consumed at the time of publication. Tempeh may have been introduced by the Chinese in Indonesia. They had a similar product, soya koji, which consisted of soyabeans fermented with Aspergillus fungi. 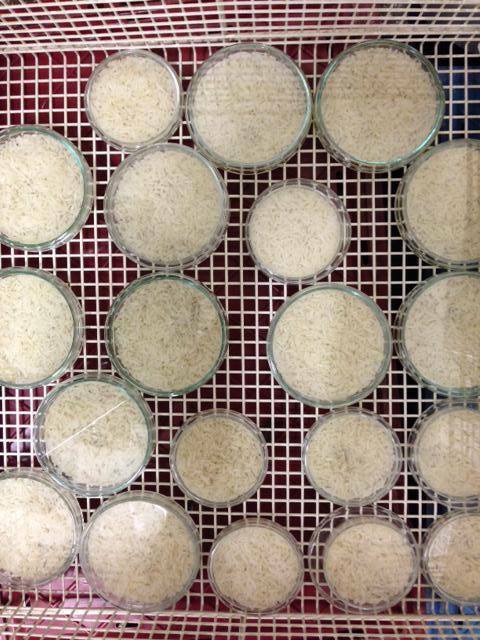 The use of Rhizopus as fungus in Indonesia must be applied because this fungus adapts better in the Indonesian climate. The first indications of tempeh in Europe appear in a Javanese-Dutch dictionary in 1875. The popularity of tempeh in Java and the spread in the rest of the world only started in the 20th century. Around 1970 the traditional packaging of banana leaves was replaced by plastic bags. In 1895 the Dutch microbiologist and chemist Prinsen Geerlings tried to identify the tempeh fungus. The first tempeh companies in Europe were set up in the Netherlands by immigrants from Indonesia. The first English article about tempeh was published in 1931 in the book Vegetables of the Dutch East Indies , written by JJ Ochse. Tempeh has been used as a source of protein in the East for more than 2000 years. Tempeh can already be given to children from 6 months of age (boiled or steamed) due to its light digestibility. Research has shown that tempeh has a lowering effect on cholesterol levels. Food experts believe that tempeh will become one of the most important protein sources of the future. Tempeh is an environmentally friendly product: the manufacture of tempeh does not cause manure surpluses, soil contamination or acid rain. In Europe, the United States and other industrialized countries, interest in tempeh is increasing, especially because of the growing interest in health, nutrients and vegetarianism.